While there are many considerations when planning your catering menu for a large event, few are more important than accounting for potential dietary restrictions. From allergies to special diets, planning ahead for these unique needs isn’t just a matter of providing a tasty meal; it can also be an issue of safety. Here are three tips to ensure your catering goes off without a hitch. It always helps to ask about any food allergies or dietary restrictions in advance. 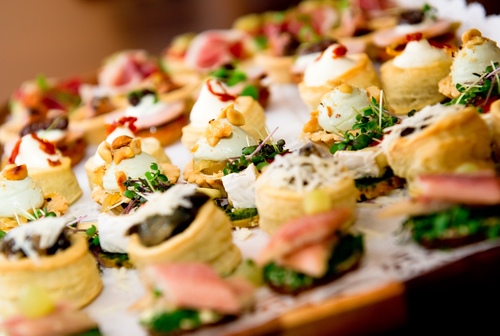 When you send event invitations, include an option for guests to list any food restrictions. This will make it easier to plan ahead and select alternative menu options for these guests. You won’t know if a particular menu item presents an issue unless you know exactly what’s in it. Be sure to go over the list of ingredients for the foods you’ll be serving. Most restaurants will highlight when a food contains a common allergen, such as nuts or soy. Many also make special note of gluten-free items to make it easier to find what you need. You can’t always rely on guests to fill out an RSVP form. Be ready to accommodate last-minute requests by preparing for common concerns, such as nut or gluten allergies. If you have some knowledge of your group’s demographics, you could also order special vegetarian, kosher, or Halal-certified dishes. Whether you’re looking for a great-tasting dinner or you need help catering your next big event, Ruby Tuesday Hawaii has you covered. This Honolulu, HI, favorite serves classic American food items like burgers, steaks, and ribs so everyone can find something to enjoy. To learn more about their menu and catering options, visit them online or call (808) 422-8585.